· After a sluggish start, sugarcane crushing picked up pace by the end of Dec, 2013. 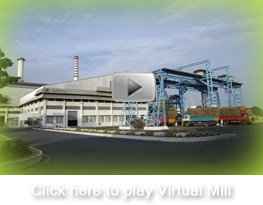 · 476 mills started their crushing operations by 31 Dec, 2013 for 2013-14 season. Although this is 23 less in nos. than last year during same corresponding period, but it seems that the sugar production is slowly catching up the last year's trend. · Total sugar production in the country till 31 Dec, 2013 is about 57.39 lac tons which is just about 29% less than last year same time of 80.32 lakh tons. It was 50% less on 15th Dec. Lower production this year is because of late start of mills because of the cane pricing problem. · Maharashtra has crushed about 217 lac tons of sugarcane with 154 sugar mills under crushing operation. Last year till date, 161 sugar mills were operational who had crushed about 278 lac tons of sugarcane to produce 29.07 lac tons of sugar. Till 31st Dec, 2013, Maharashtra has produced 22.14 lac tons of sugar with 10.19% recovery. · Uttar Pradesh has produced 11.3 lac tons of sugar with 119 mills under crushing operation. Total of about 128.8 lac tons of sugarcane has been crushed with 8.75% recovery. As compared to last year, when 122 sugar mills were operational, this year sugar production is about 42% less than last year during same corresponding period. This again is due to late start of crushing operations. Further, a longer rainfall season, which started slightly ahead of normal schedule seems to have impacted the no. of tillers in the field, which will adversely impact the yield in Central & Eastern parts of Uttar Pradesh. However, recovery could be better in these zones, as varietal mix of early:mid-late this year is slightly better than last year. · Karnataka has produced 12 lac tons of sugar when 58 sugar mills have started crushing operations. Last year, same no. of mills had produced 16 lac tons of sugar. The cane pricing problem between the State Government and the mills is also affecting smooth crushing. · Andhra Pradesh produced 2.52 lac tons of sugar, from 27.9 lac tons of sugarcane crushed with 9.04% recovery. In total, 33 mills are operational, which is same as that of last year, however sugar production is about 18% less during same corresponding period last year. Tamil Nadu has produced about 1.5 lac tons of sugar which is about 58% lesser than last year due to late starting of crushing season. Sugar production in TN is expected to be significantly lower than last year due to lower cane availability in the State. With the State Govt announcing unreasonably high cane prices, one will need to watch how it further impacts the cane crushing in the State. · Till 30th Nov, 2013, sugar mills have produced 1.95 lac tons of raw sugar, while during the whole of last sugar season 2012-13, sugar mills had produced only 0.81 lakh tons of raw sugar from domestic sugarcane supplies. It clearly shows that mills are eager to produce more and more of raw sugar for exports. However, the pace of raw sugar production will improve if the Government quickly announces the incentives it intends to give for raw sugar production. This timing of the announcement is important esp. because only about 90 days of peak crushing season remains, which can be utilised by the mills, mostly in the Coastal States. · The second set of satellite images of cane, both of that crushed and what is left in the field, plus the trend of yields and recovery, would be available by end of Jan, 2014. ISMA would review the production estimates in the end of Jan, 2014, which stands at 250 lakh tons now for 2013-14 sugar season.